5 Ingredients You Need To Start Making Your Own Natural Hair Products | Natural Hair Rules!!! This is for all my DIY’ers out there. I’m a fan of making my own natural hair products. If you frequent this site, you know I’m all about being cheap frugal and simple. Many of the DIY Natural Hair Products featured on NHR will include 3 ingredients or less. Here’s a list of 5 Ingredients You Need To Start Making Your Own Natural Hair Products. These are the base ingredients. Use them solo or combined with other ingredients. Shea Butter is great for natural hair as a base ingredient. It works best if whipped with a hand or stand mixer. You can whip it by itself or add your favorite oil or even Aloe Vera Gel for added fluffiness. I love Shea Butter mixed with Aloe Vera Gel. The natural nutty aroma of Shea Butter mixes well with citrus or vanilla essential oils. I buy mine from Amazon but I know at least 10 other Places You Can Buy Shea Butter. 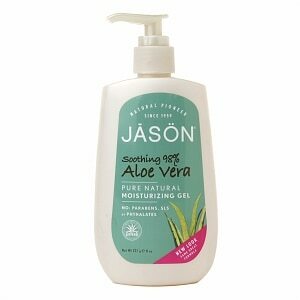 Aloe Vera Gel mixes well with oil or water based ingredients. I have mixed Aloe Vera Gel with Shea Butter for a moisturizer or with water for hair mist. on the sunscreen aisle in your favorite grocery store. Use it solo or mix it with your favorite batch of ingredients. Coconut Oil can be used exactly like Shea Butter. Mix it or whip it solo for a light natural hair moisturizer. Here’s my simply Whipped Coconut Oil recipe. Also, mix liquid coconut oil with olive oil for the second step of the L.O.C. Method. It’s amazing for hair and body. It’s very light and easy to apply with an applicator bottle or spray bottle when mixed this way. Vegetable Glycerine is a humectant and emollient. It draws moisture into the hair; perfect for dry climates and seasons. As an emollient it soften hair. A little bit goes a long way when mixed with water for a daily hair moisturizing mist. It’s also a great additive to oil based products like Whipped Shea Butter. You can find it at your local health food store, Whole Foods, Drugstore.com or Amazon. Granted it seems pretty basic. Water = moisture especially when it comes to natural hair. It should be the base of your store-bought products. But purist use nothing but distilled or spring water to make their body and hair products. They believe that tap water decreases the quality of the products. And if you have hard water it creates build up on your hair. Build up can make it harder for your products to penetrate the hair and scalp. Quick Tip: Remember Oil and Water Don’t Mix. Distilled Water is easy to find at any and every grocery store. What’s Your Favorite DiY Ingredient? Hi I would like to know which product or product mix will not perish quickly. Do I need conservatives if yes which ones? I would love to make my own hair products because I am extremely sensitive to fragrances and unscented products are hard to find or don’t work well. Are your recipes compatible with white girl hair?